This is my third post of Christmas gifts I've received over the years from my friends who are also Makers. Above are three 7 1/2 inch hand knit Christmas stocking for my dogs...Tipper, Hazel and Taffy! The were made by my friend Edith, constant knitter, calligrapher and fine printer. What lucky dogs to have their own handmade stockings! But wait! She made another trio of Christmas stockings for my first 3 dogs. These measure 5 inches. 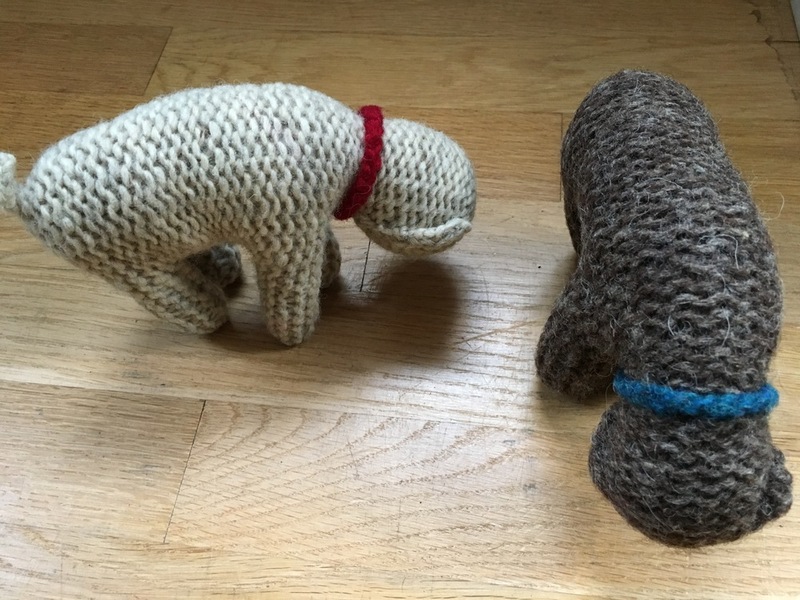 Edith makes stuffed knitted creations too! 2 lovely sheep and an elf!! (No, that's definitely not a shepherd)! !